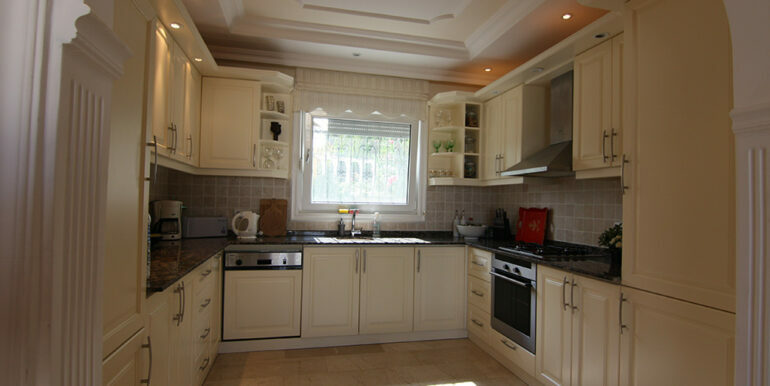 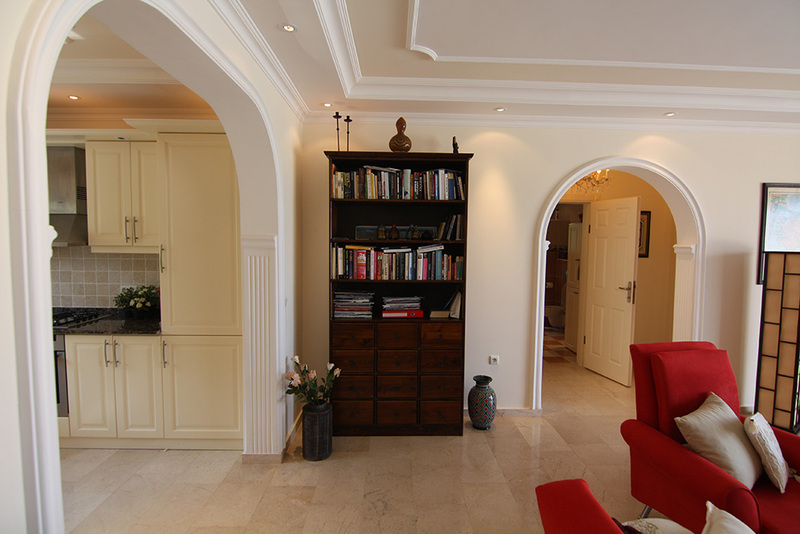 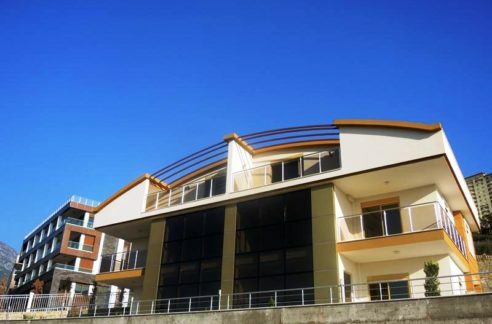 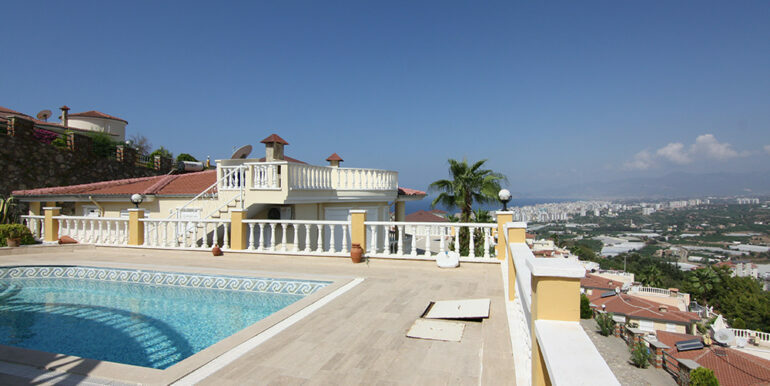 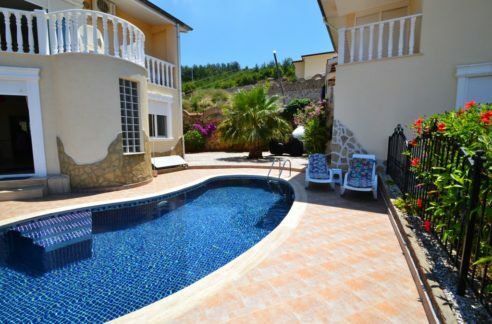 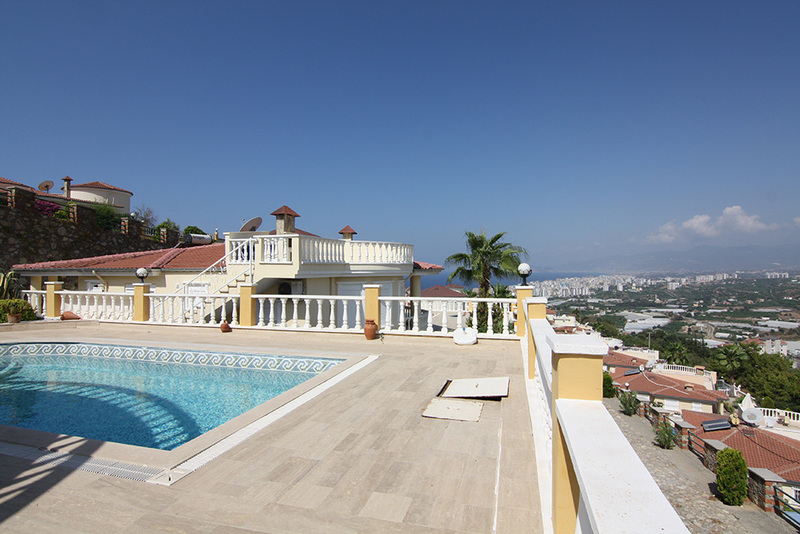 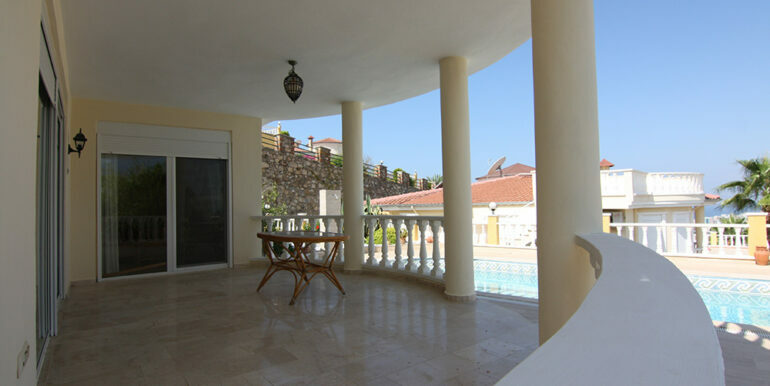 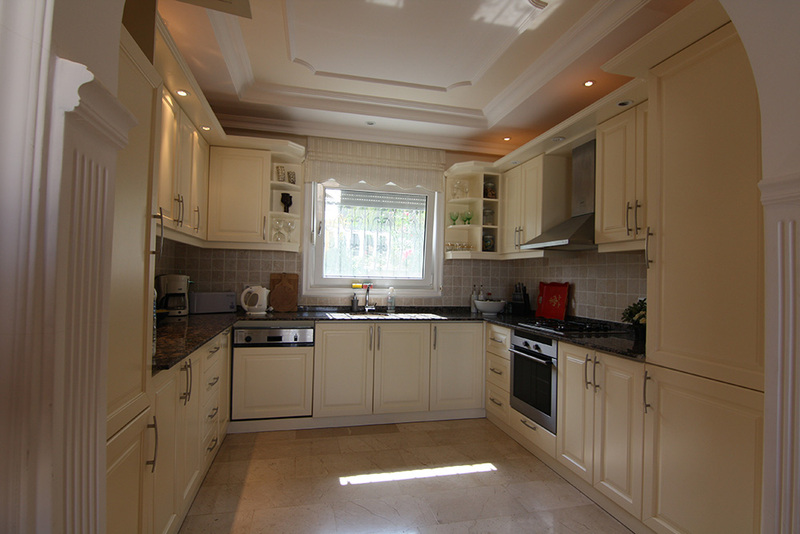 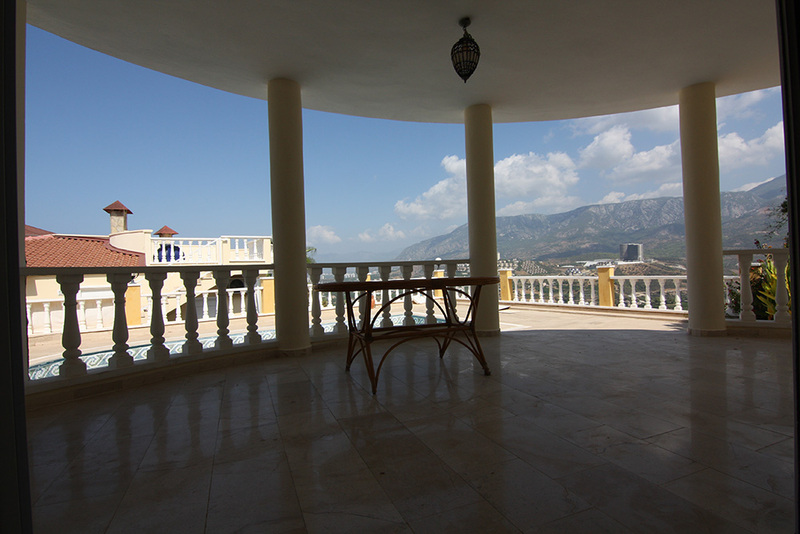 Villas complex Gold 2 is located in the beautiful green hills of Kargicak. 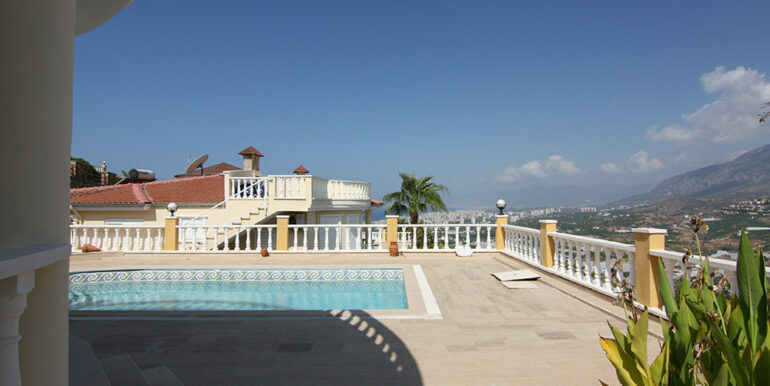 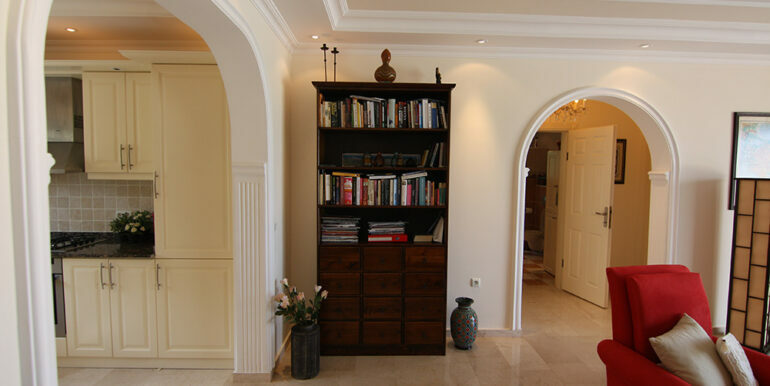 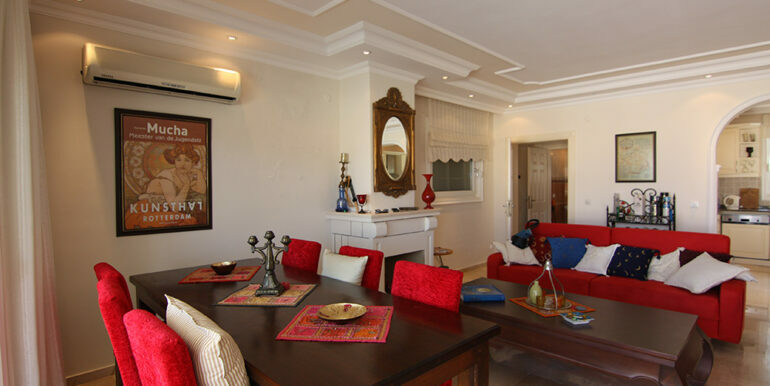 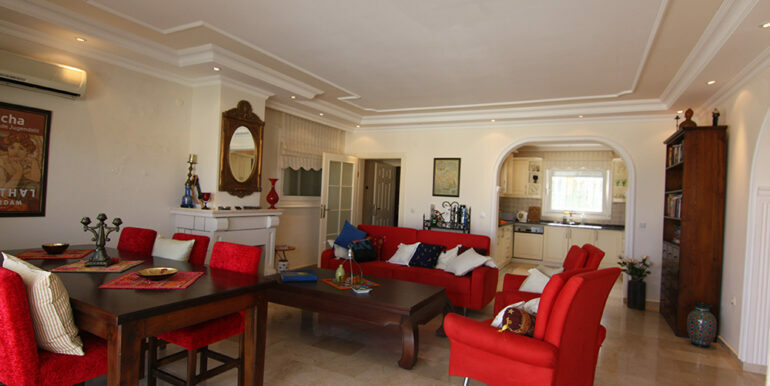 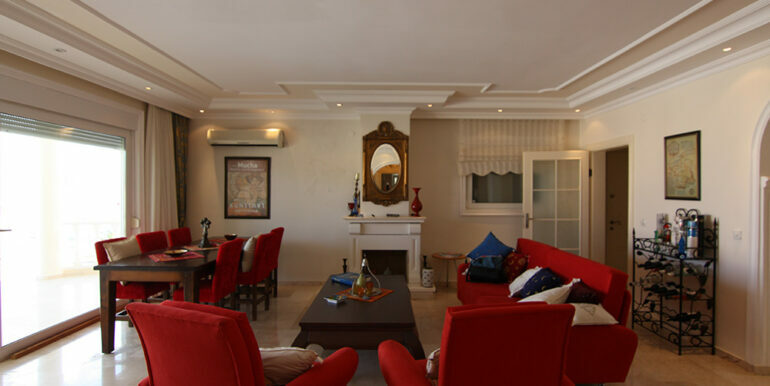 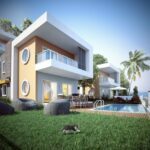 The villa has its own 700 m2 plot of land with a private pool and garage and is part of a villa park with 32 villas with facilities such as garden and security. 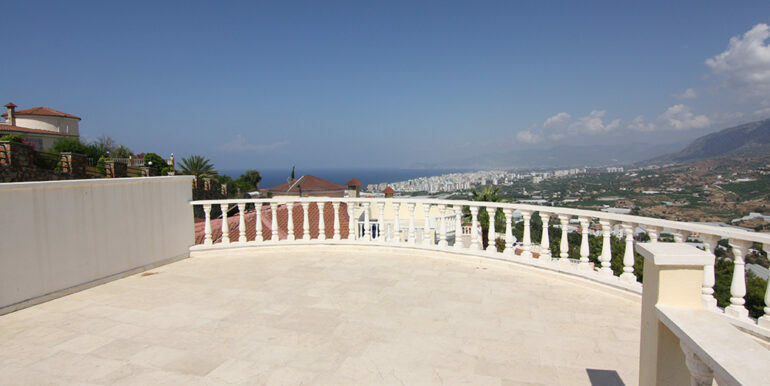 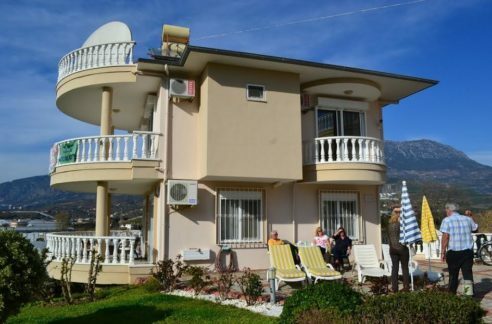 Due to its location on a hill, you can enjoy breathtaking views of the turquoise Mediterranean Sea, the mountains and Alanya with its old castle mountain. 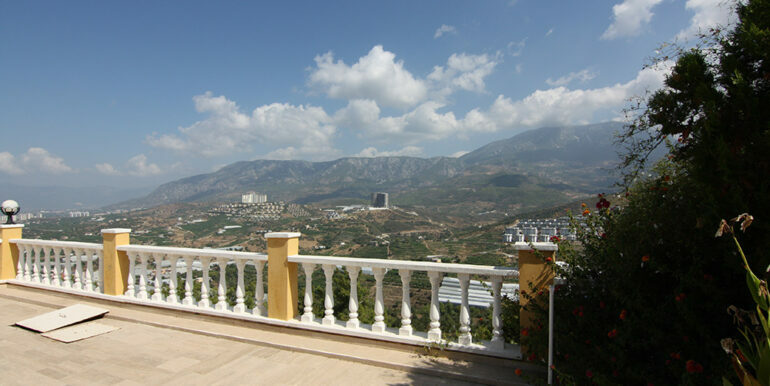 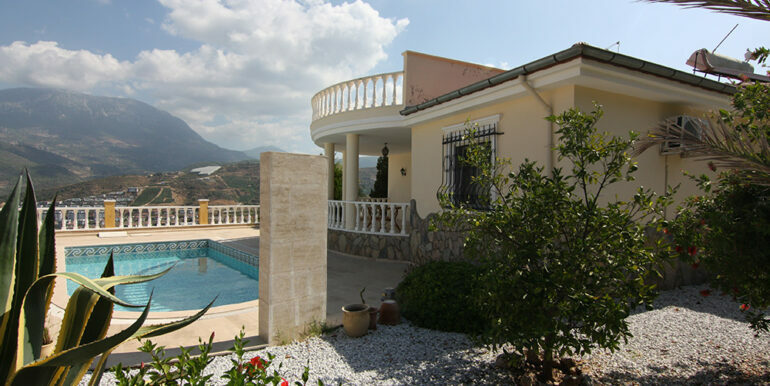 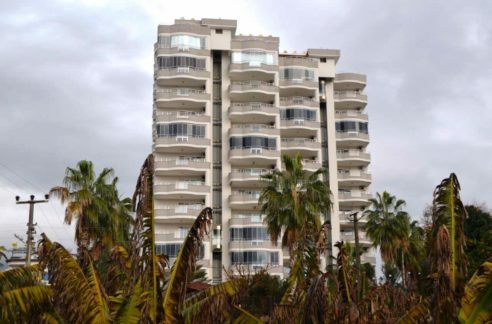 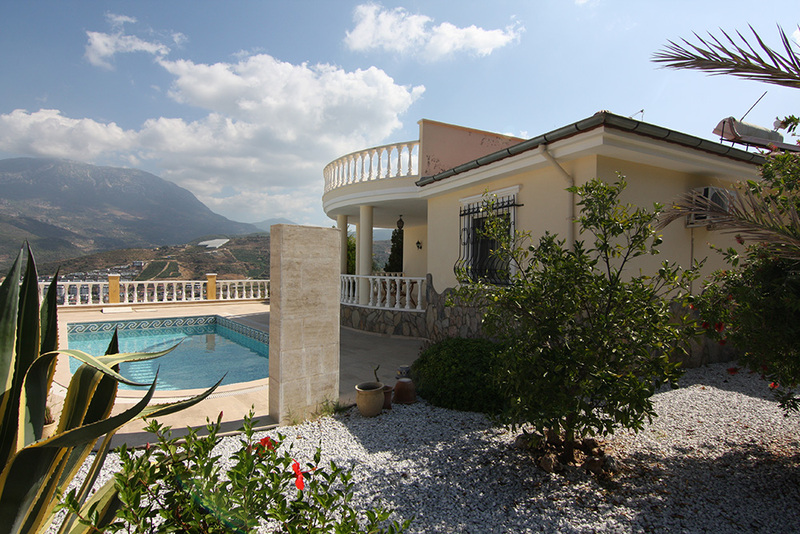 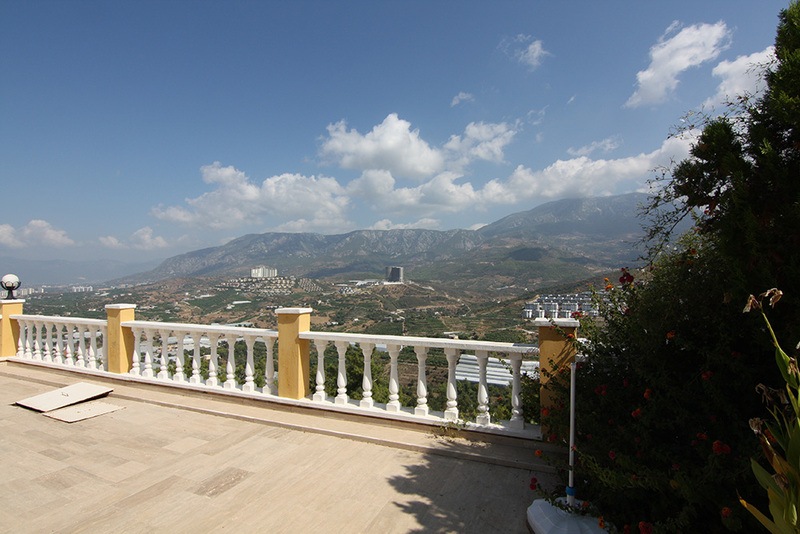 Kargicak is developing rapidly and is just 20 minutes from Alanya-Gazipasa International Airport. 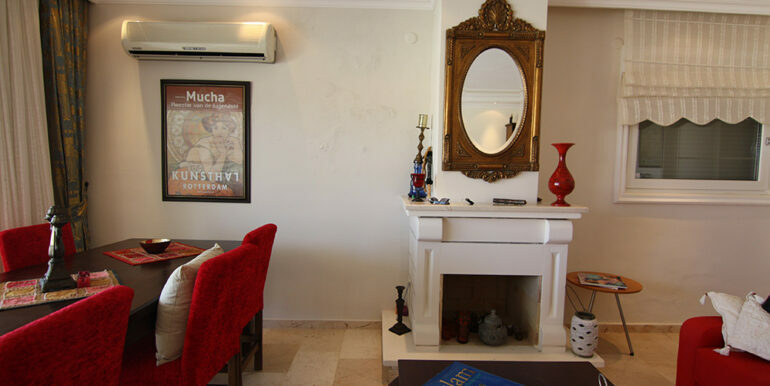 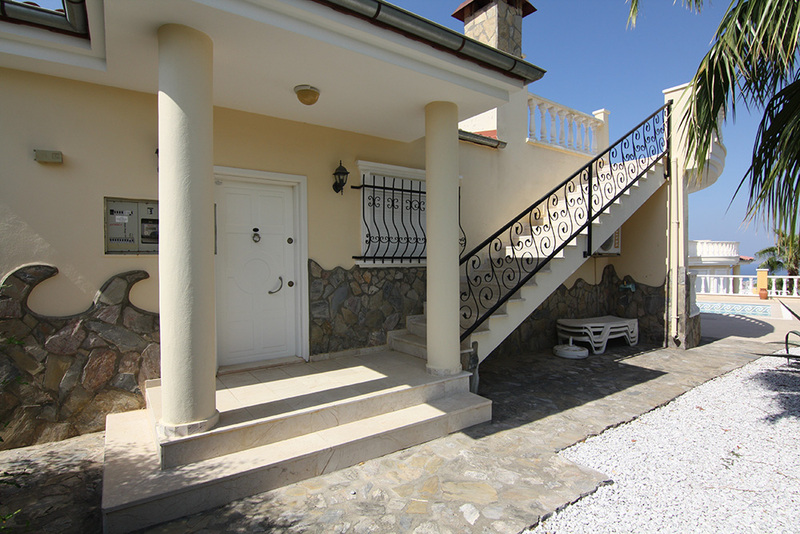 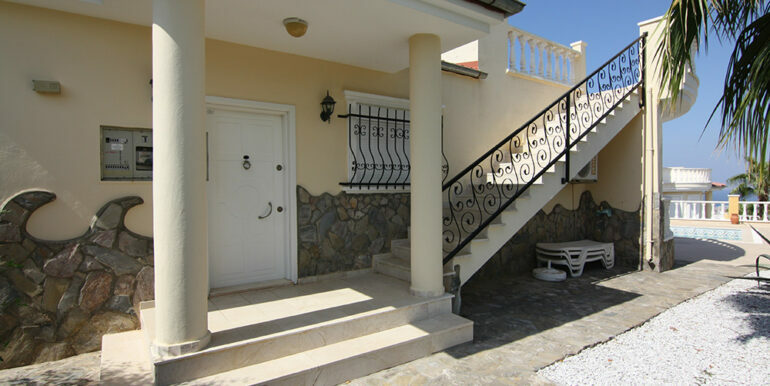 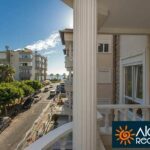 The villa has a beautiful entrance with guest toilet and storeroom with washing machine, spacious living room with semi-open fitted kitchen with white goods. 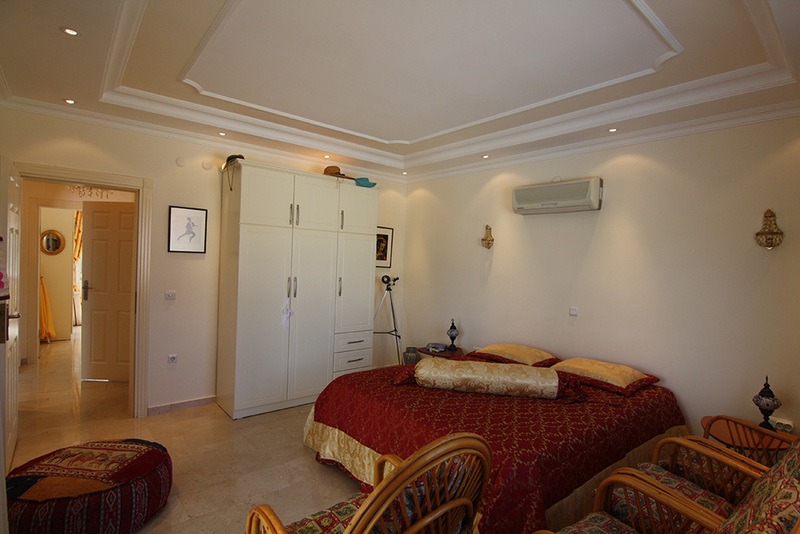 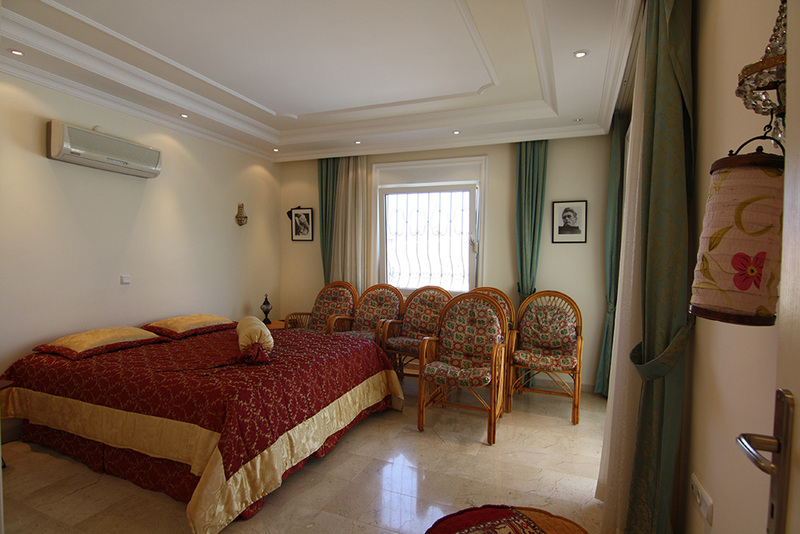 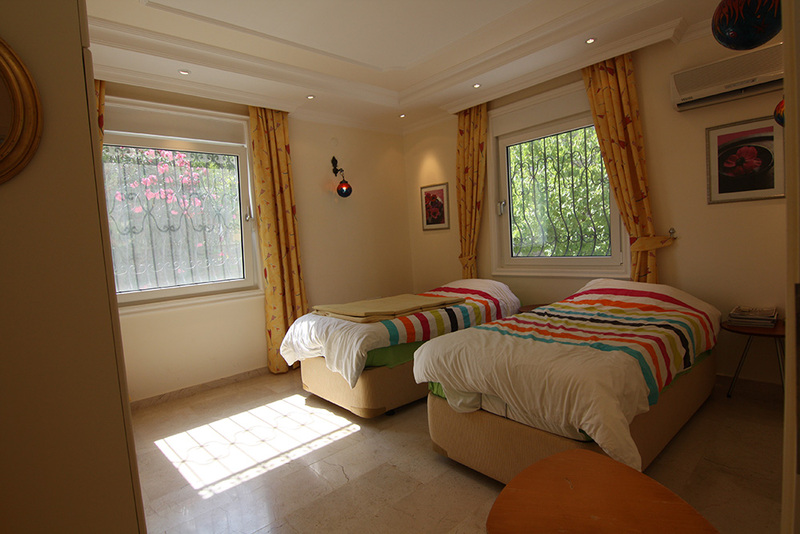 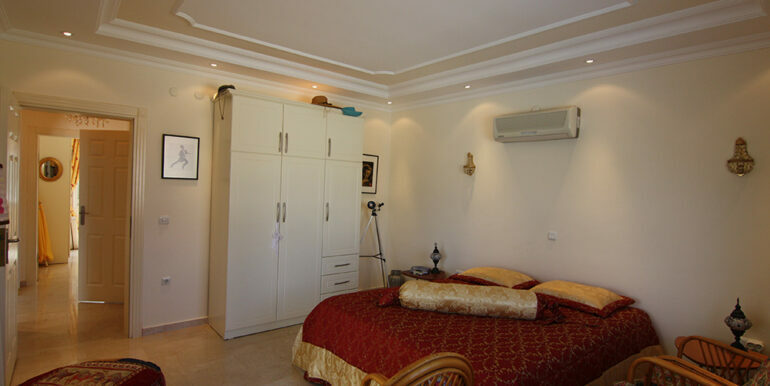 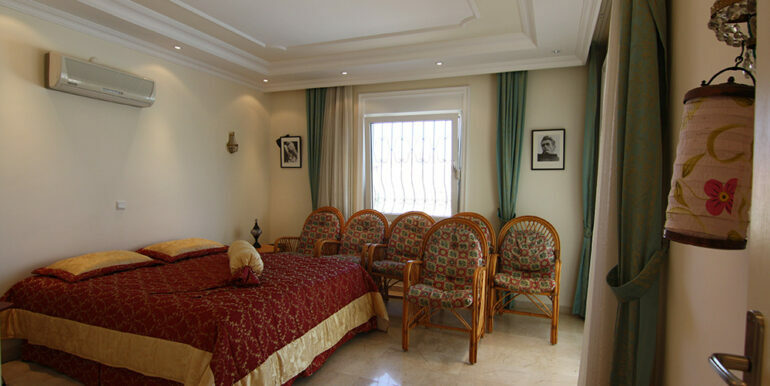 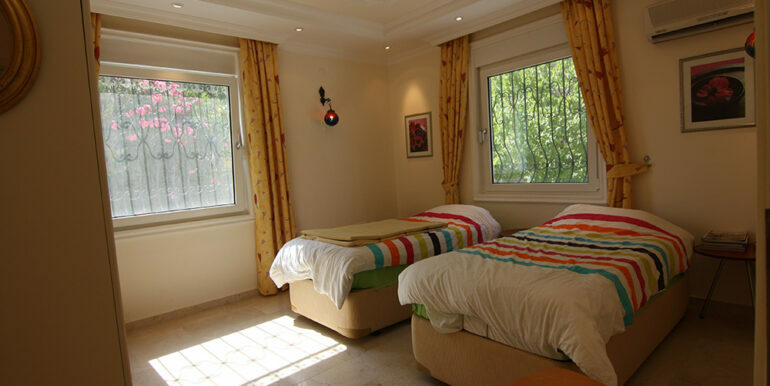 There are also 2 beautiful bedrooms and 1 spacious bathroom with bath and shower. 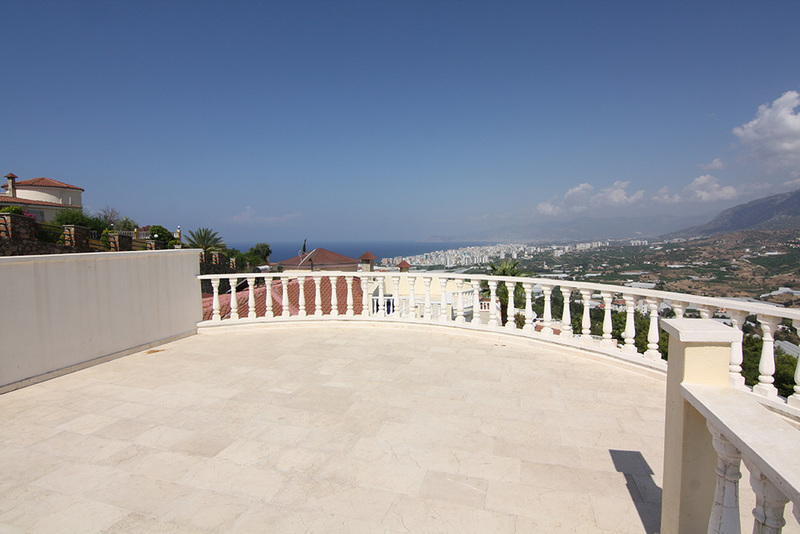 The rooftop terrace is fantastic to enjoy the view and the sun! 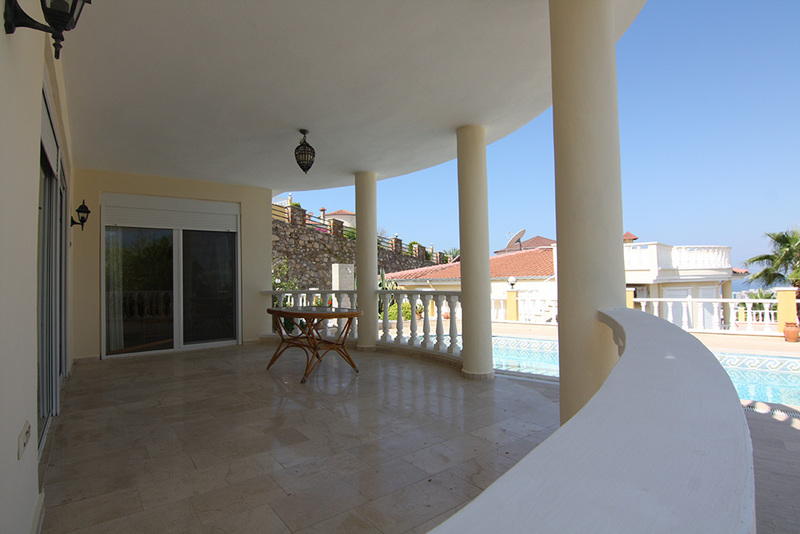 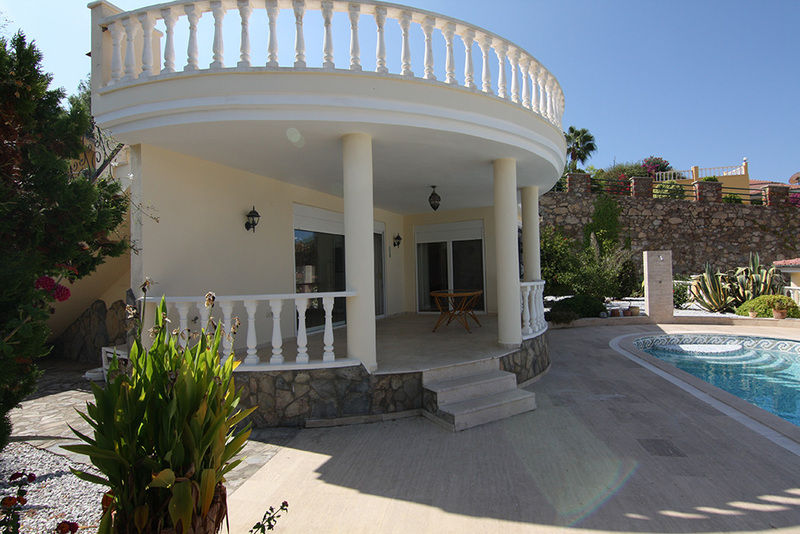 The villa is surrounded by a large terrace with adjoining beautiful garden and a private swimming pool. 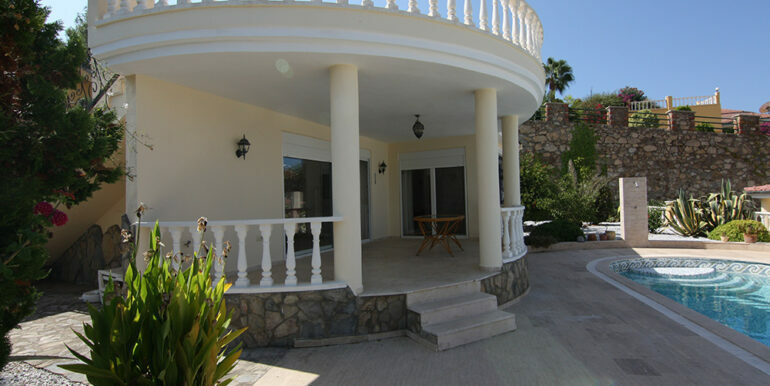 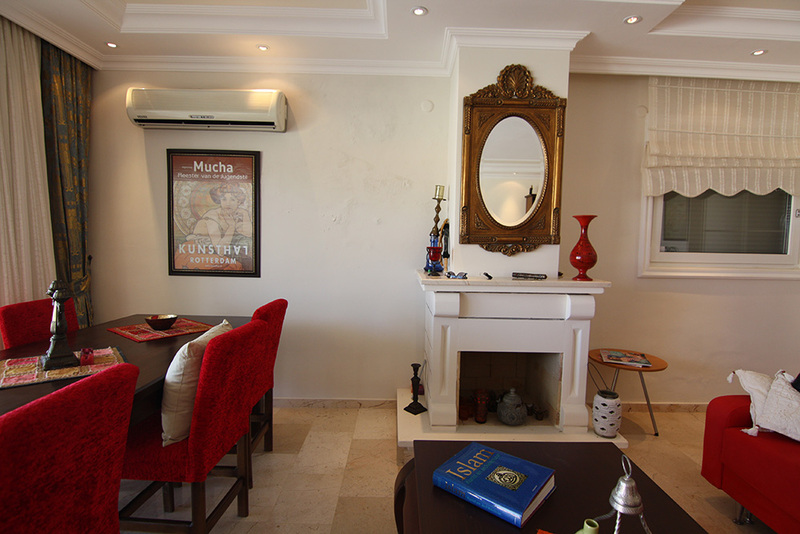 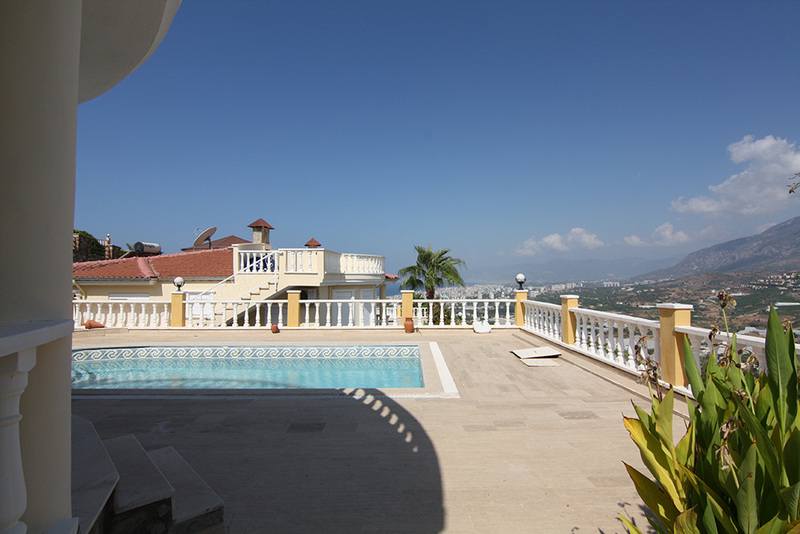 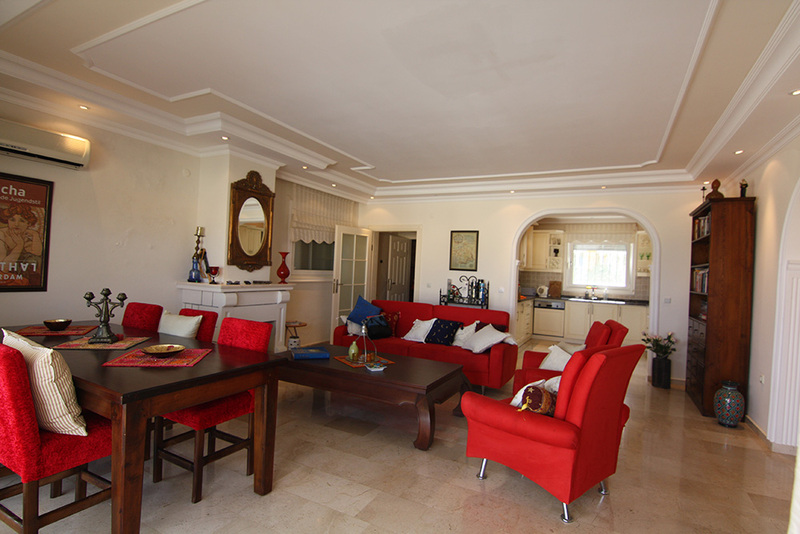 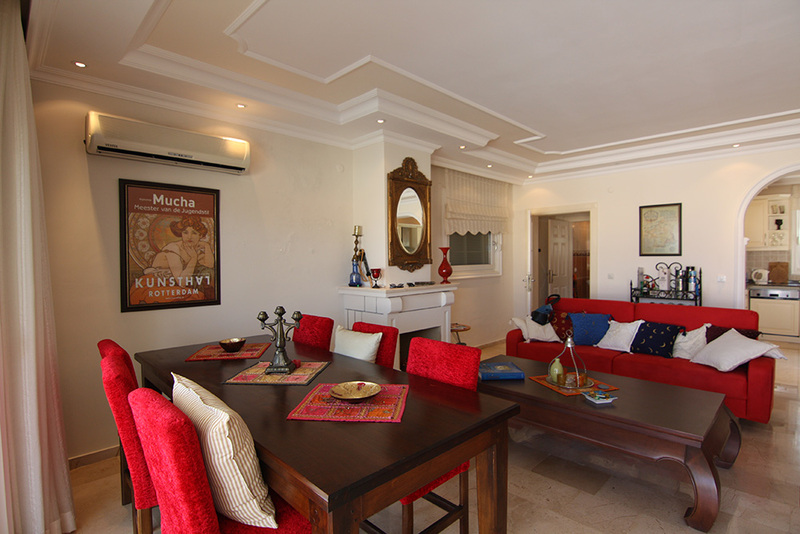 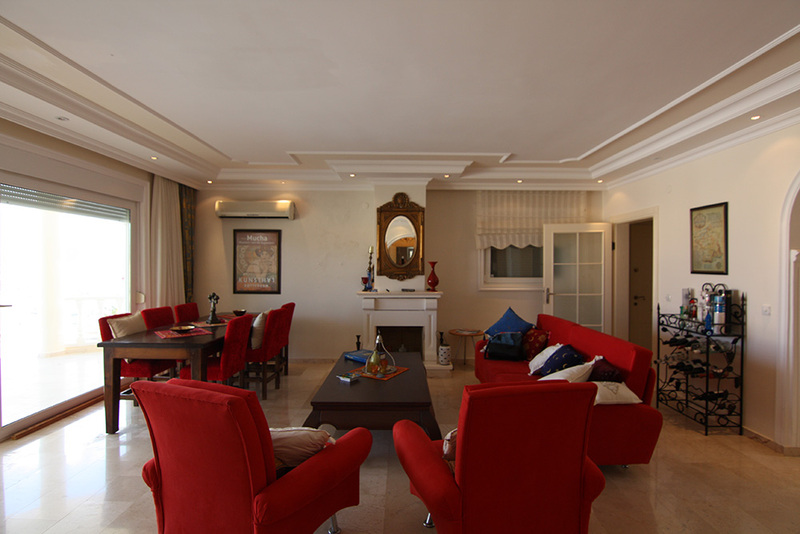 Villa is sold fully furnished and features solar panels and a satellite TV system, a stylish, neat villa. 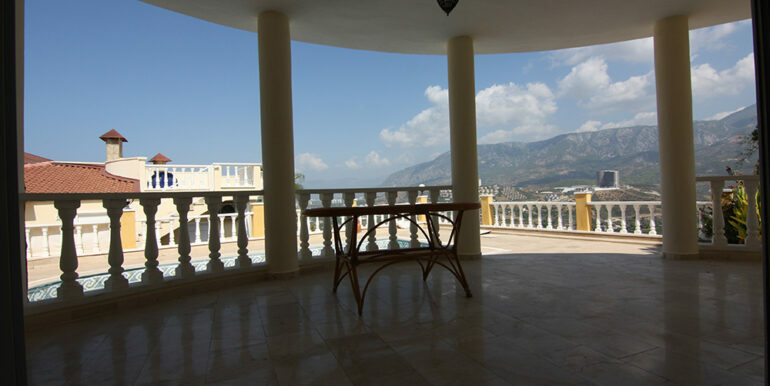 A true paradise in Alanya, please contact us at any time for a visit.